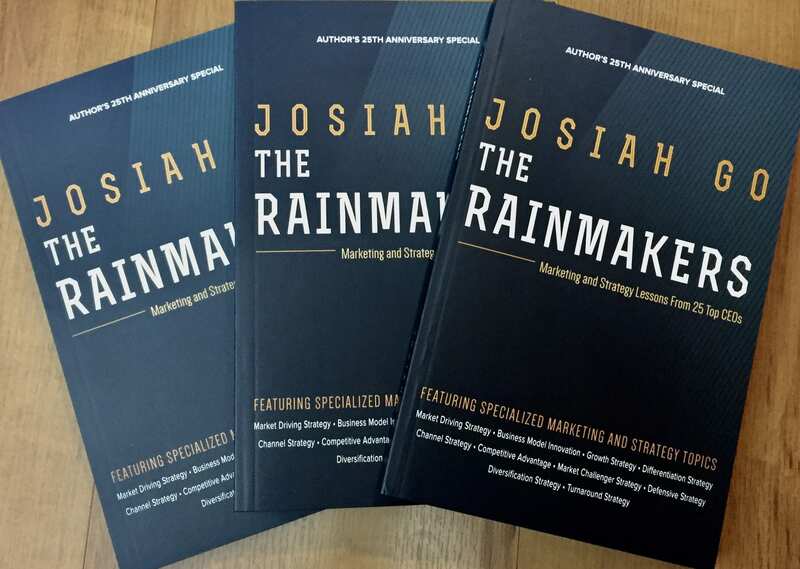 An advocacy-based company dedicated to marketing excellence through Mansmith projects that focus on the four l's (Information, Ideas, Inspiration, Infrastructure) which help marketing and sales teams soar!. Coach is a division of Mansmith and Fielders, Inc. that focuses on leadership, change management, financial and accounting courses, people handling, customer service and presentation skills, and other administrative offerings that are non-marketing and non-sales. Like the Mansmith team, COACH program facilitators are members of top management who have both corporate and academic experience in their areas of expertise that give participants clear frameworks and perspective from all levels of the organization. Sensei Business Academy was created to provide Mastery, Practicality and Affordability to the price-sensitive market that still wants quality executive education. It offers various marketing, sales, management and coaching seminars with top notch and experienced consultants from various industries across the country. Sensei Business Academy shares the MASTERY of its speakers to all its participants, provides PRACTICAL frameworks and tools that are up-to-date, and makes sure that all its courses are AFFORDABLE and are within the budget of every company. Day 8 Business Academy, Inc.
Day 8 Business Academy, Inc. is the 1st and only training and development company focused on small and medium enterprises (SMEs), that allows participants to "pay what they want" – a boundary-breaking pricing scheme. Free marketing consultation. The 1st and only free face-to-face marketing consultation program for businesses by a marketing training and consulting firm. Free enterprise consultation. The 1st and only free face-to-face consultation program for micro, small, and medium enterprises by a pool of successful entrepreneurs. Young Marketers. Another advocacy aimed at providing INSPIRATION by recognizing excellent Filipino marketers and entrepreneurs is the YOUNG MARKET MASTERS AWARDS. This project, organized by Mansmith and Fielders, Inc., seeks to honor young achievers, 35 years and below, who excel in sales, marketing and entrepreneurship, and whose achievements encourage and inspire young people to be innovative entrepreneurs and outstanding brand builders. The winners of the Young Market Masters Awards get to speak of their achievements and experiences in a conference in August called the Young Market Masters Summit. Please visit www.youngmarketmasters.com for more details. Marketing Mentors. Mansmith Market Market Masters Awards (MMMA): is the first and only recognition for senior marketers based not just on corporate performance but on mentoring of Mansmith Young Market Masters Awards (Mansmith YMMA) winners. Visit www.marketmasters.com.ph to know more about this advocacy. Marketing Students. MarkProf Foundation, Aimed to develop future leaders and uplift the marketing education in the country, MarkProf Foundation was established last 2004 to provide talented graduating students, a resume-equalizing training, especially for those students not coming from exclusive schools. The selected 25 senior college students go through a FREE 7-week challenging and intensive bootcamp to learn from the best practitioners and carefully-selected mentors across industries in the fields of marketing and sales management. These students are taught to think on their feet and to think critically to fulfill requirements in big idea formulation and analytical questioning for each of the seven day sessions. The culmination of this bootcamp is a marketing plan of an actual company where they are mentored by marketing professionals as a solid preparation for the real world of business and marketing once they graduate. Marketing Professors. The first and only annual free training on teaching marketing for marketing educators since 1997. Entrepreneurs. A mentoring and funding program aimed at supporting financially-challenged young social entrepreneurs who wish to contribute to social good via novel solutions to social concerns. Reseaches. Women Center For Achievement, Research and Entrepreneurship (WOMEN CARE PH) is a research and training advocacy focused on gender-related themes. Networking. Mansmith (together with Josiah and Carolina Go Foundation, Inc.) donated the seed fund for the creation of White Space Club, a networking club known for idea sharing among members coming from diverse backgrounds and industries.